Based on GPS-points on Europe’s most iconic rivers the River Cruise App guides you along each place relating its history and culture, in addition to giving personal tips. All Points of Interest, coordinates of tourist features, correspond to the kilometer markers along the waterways. It‘s for everyone. Although developed for river cruisers, it is also useful on a cycling tour, spending time at the riverside, in a private boat, or following the river on the train or in a car. And everywhere. 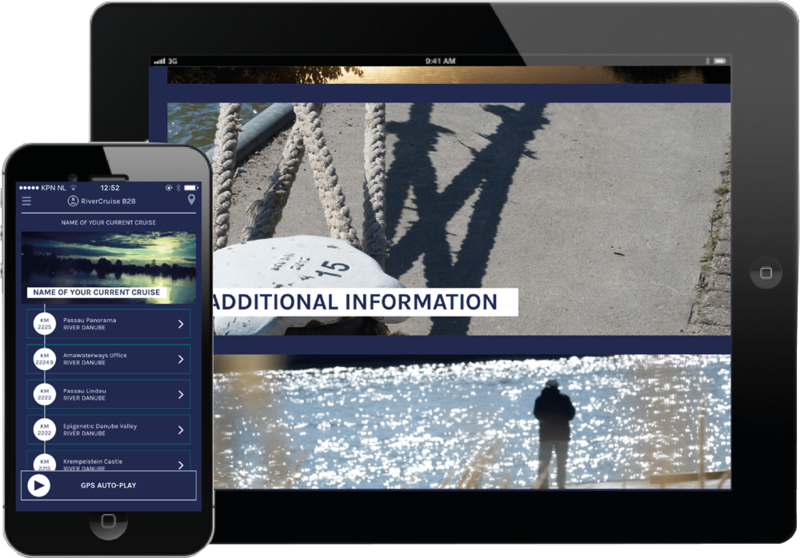 The River Cruise App works offline and can be used everywhere. Availability offline means avoiding high roaming costs when used abroad and a regular clean up insures that the user can listen back to a point of interest without the mobile devise being cluttered with unnecessary data. And for those, who want to know even more about a certain subject a info button on the app display leads to further information via links.